Designed specifically for the outdoors, these logs have a weathered look of Gray and Black and they develop a glow where the flame is hottest. 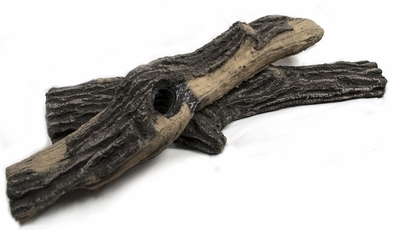 2 Piece Woodland Outdoor Log Set is perfect for the 36" and 48" Fire Ring. Large logs to add to the Woodland 36" Log Set. Length of 36" and one at 37".